Foot and ankle injuries are common, especially among athletes. They can be caused by a variety of factors, including trauma, a fall or overuse. Many cases of ankle injuries require surgery to relieve chronic pain, correct deformity and restore function to damaged joints in the foot and ankle. 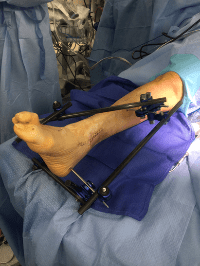 While primary ankle surgery is considered safe and effective in most cases, not every patient who undergoes surgery will experience a positive outcome. If the patient continues to suffer from problems related to the injury, such as debilitating pain, revision surgery may be necessary to improve the results of the unsuccessful procedure. Lower extremity revision surgery may involve repairing or repositioning tendons, ligaments or bones within the foot and ankle. In some cases, removing misaligned or damaged joint surfaces or surgically realigning damaged or misplaced joints is performed. 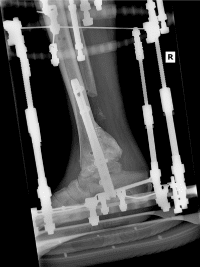 In some cases, internal fixation devices that were used during the initial procedure to maintain position of a bone may be removed during revision surgery, especially if they causing pain. 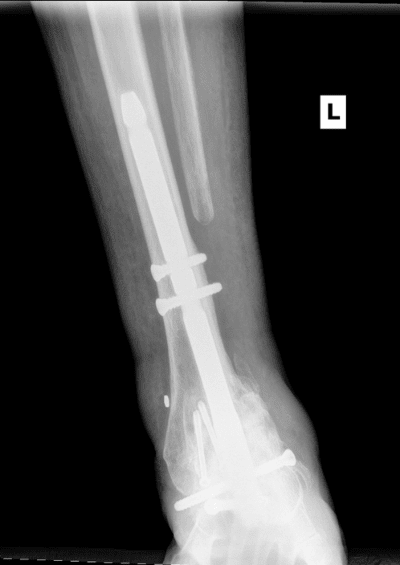 Sometimes new fixation implants may need to be inserted in order to obtain the best possible outcome. Revision surgery generally takes longer to complete than an initial procedure, and is often more challenging since there is a greater risk of complications. Some complications associated with revision procedures include failure of bones to heal properly, postoperative infection and damage to nerves or blood vessels. 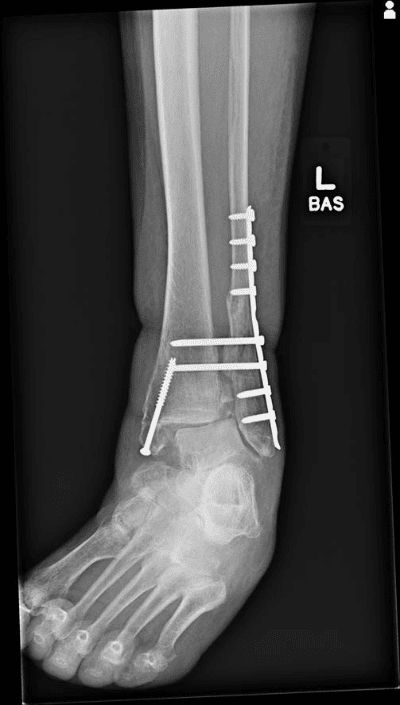 Recovery from ankle revision surgery usually takes the same length of time as that of the first procedure, and often requires protecting the ankle with a boot or brace as well as appropriate weight bearing restrictions. 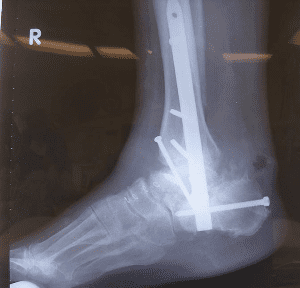 At Florida Orthopedic Foot & Ankle Center we have extensive experience in revising or salvaging difficult problems. We treat patients who come in for a second opinion from all over the United States as well as internationally. As always, all options will be discussed with patients in great detail and a treatment plan can be developed to give the best possible outcome. 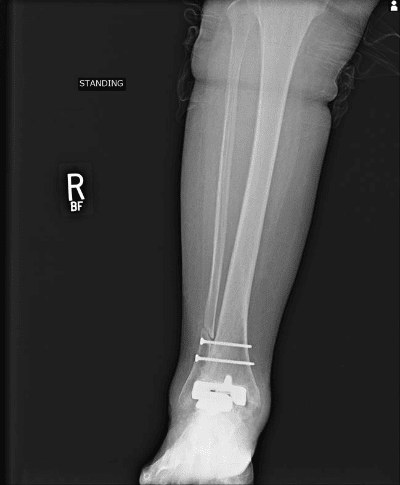 66-year-old female who fractured her ankle and was fixed at an outside institution. She was in extreme pain and told that there was nothing else that could be done other than a below knee amputation. 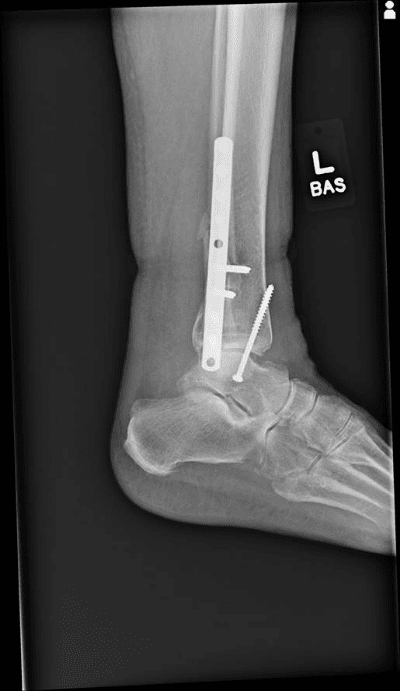 AP x-ray of the ankle 6 months after the initial procedure. There is collapse of the joint and what appears to be AVN of the talus. 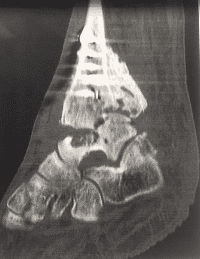 CT scan showing AVN of the talus, non-union of the tibia and severe post-traumatic arthritis of the ankle joint. The patient was taken to the OR. 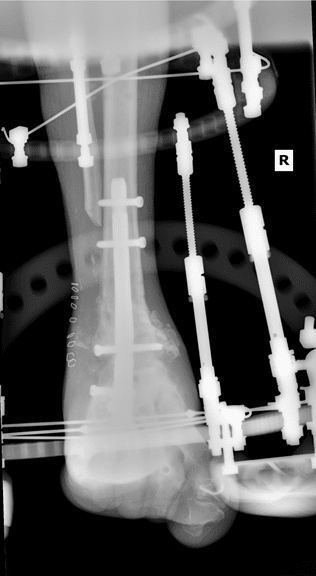 All hardware around the ankle was removed, bone cultures were taken of the ankle joint and the joint was stabilized with an external fixator. Side view of the stabilizing external fixator. 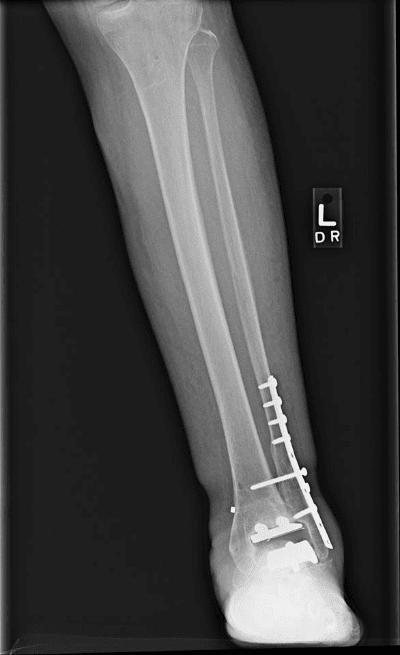 AP x-ray showing excellent alignment of a TTC fusion and repair of a distal tibia non-union. An Ilizarov external fixator was also used to protect and stabilize the fusion sites. 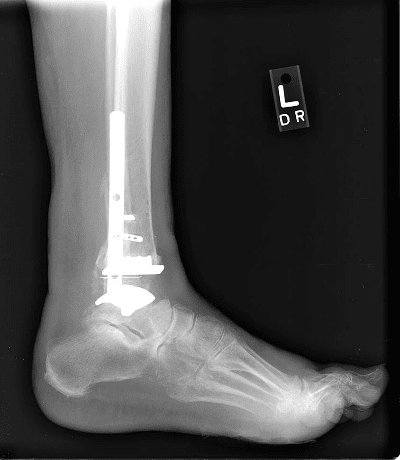 Lateral view showing alignment of the rear-foot and tibia with intramedullary nail in place. 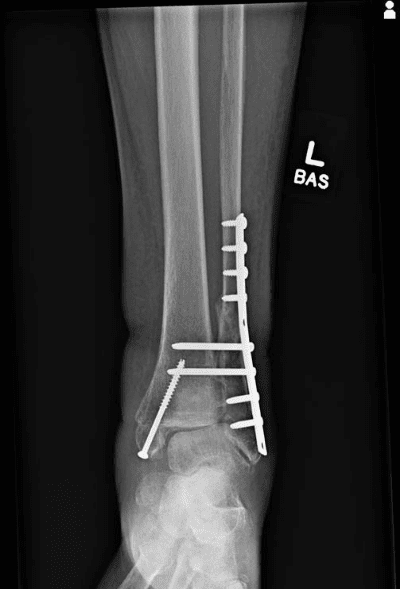 Treatment: Lapidus, medial closing wedge osteotomy, Akin procedure. Excellent alignment. 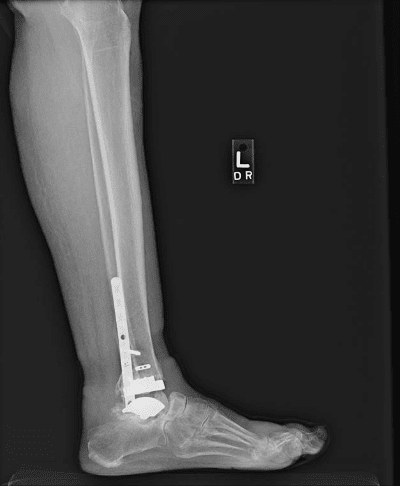 69-year-old male with previous attempted subtalar fusion using bone a bone block graft. 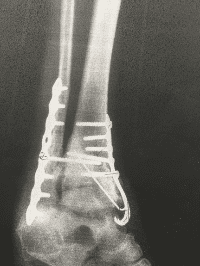 Screws broke with collapse of hindfoot. 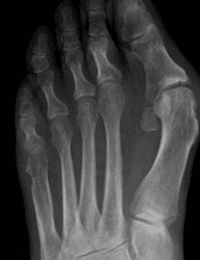 Talar avascular necrosis was noted. 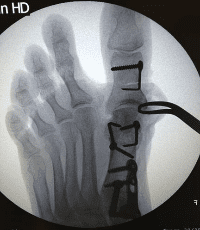 Procedure: Tibiotalocalcaneal fusion with a retrograde IM nail. This patient did not want a fusion so a revision Salto XT implant was inserted. 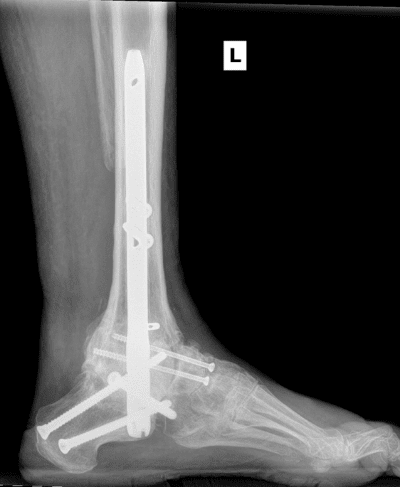 The fibula was reinforced with a plate due to the amount of bone that was removed during the initial total ankle replacement. Note the revision implant is in excellent position. 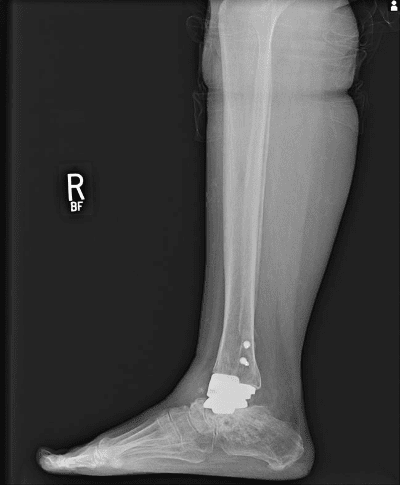 72-year-old female presented to the office after sustaining a left ankle fracture and was fixed at an outside institution. 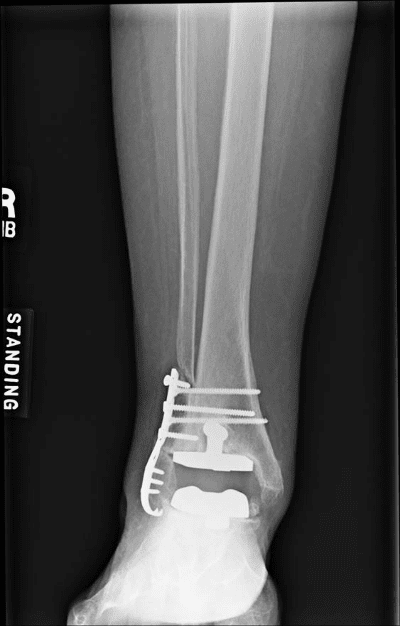 Note her fibula is short and the medial malleolus is not in anatomic position with a non-union. The talus is shifted laterally as well. 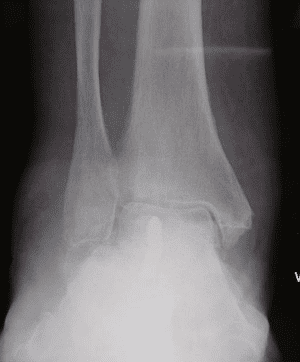 Mortise view showing mal-reduction of the ankle joint. Lateral view showing medial screw has been placed exiting out the anterior tibia. Lateral view showing the implant in excellent position. 1 year later the talus has begun to subside and drift lateral. Note the fibula and tibia are still in anatomic position. Lateral view showing the talus has subsided down to the calcaneus. This is due to talar avascular necrosis and is a complex situation to deal with. 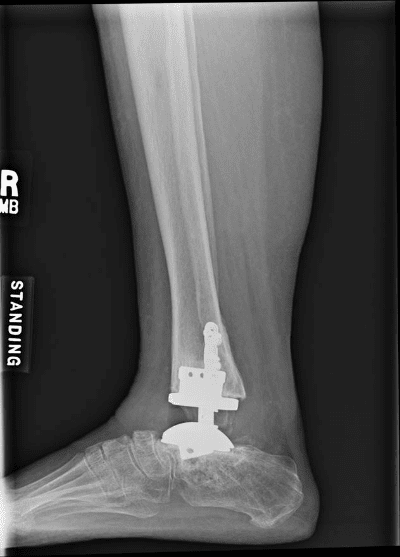 AP view showing complete healing and excellent position of the ankle with a femoral head allograft and nail in place. Lateral view showing complete consolidation of the fusion site. 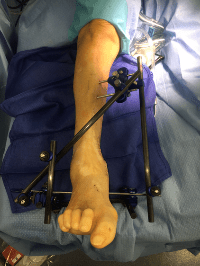 A femoral head allograft has been used to replace the talus and maintain the height of the patient’s leg. This patient is several years out from the surgery and is able to ambulate and is very pleased.